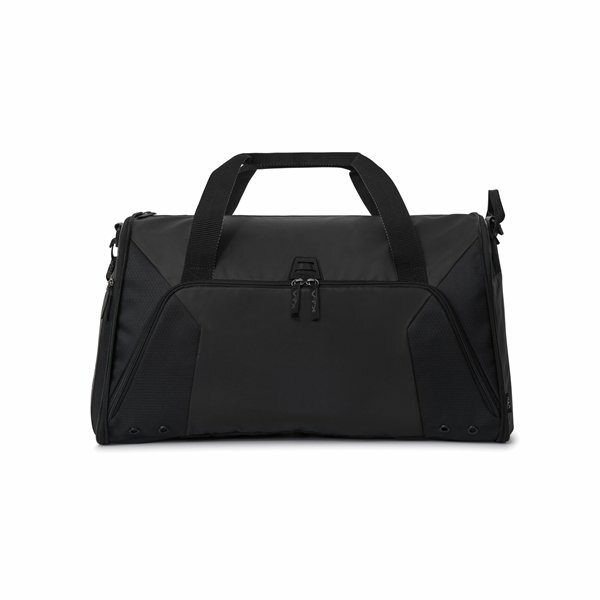 This lightweight duffel is packable and portable for travel convenience. Packs easily away, innovative zipper closes duffel into a small pouch. Front zippered pocket for additional storage and organization. Side zippered pocket is ideal for storing accessories. Large main compartment with zippered closure. Top and side grab handles. Packed pouch: 9.25"L x 11" H x 1"W.
Material: 210D Polyester, Polyester Diamond Mesh.